The album contains, in addition to all the big hits, 2 new bonus tracks: the Jazzi Bobbi remix of You and Me and a remix of their other big hit Just for You by the German DJ Tom Pulse. 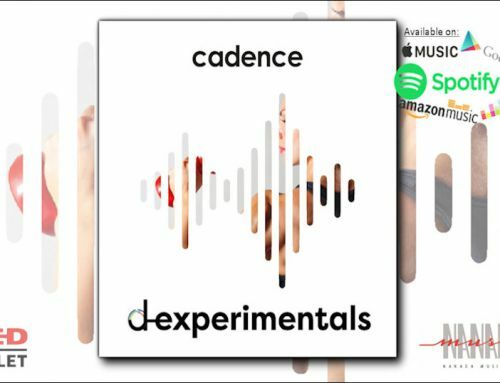 Reviving the old times with this new album! A must have for the real funk-disco fan! Massively popular Amsterdam based funk-disco band Spargo scored hit after hit in the ‘80s with songs like You and Me (1980), Head Up To The Sky (1980), One Night Affair (1981), Just for You (1981) and Hip Hap Hop (1982). The band released four albums: Good Time Spirit (1980), Go (1981), Hold On (1982) and Step by Step (1984). 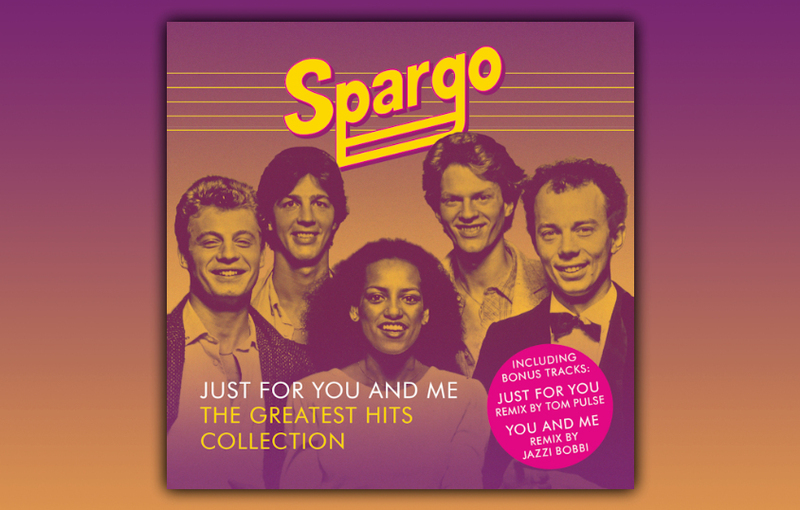 Spargo was founded in 1975 by Ruud Mulder (guitars/vocals), Ellert Driessen (keyboards/ vocals), Jef Nassenstein (bass/vocals) and Leander Lammertink (drums) and joined by Lilian Day Jackson in 1979. Jackson, who grew up in Amsterdam, but is of American descent, is jazz drummer Art Blakey’s stepdaughter and had previously worked with Hans Dulfer and others. Her high vocal range contributed wonderfully to the typical Spargo sound. With Jackson and Driessen as lead vocalists, the band became hugely successful as both a live band and as recording artists. Debut single You and Me (written by Driessen) went on to be 1980’s best-selling record in the Netherlands, going gold and platinum after reaching the top spot in the Dutch charts and winning a prestigious Edison award for Best Single. International recognition for the song and the band came soon after, with topping the charts in Italy (a gold record and winning the Gondola d’Oro award), Belgium, Iceland, Peru and Surinam and scoring highly in Germany, Spain and Austria amongst other countries. Much later, in 2013, You and Me would be voted ‘Beste Nederdiscoklassieker’ (All-time Best Dutch Disco Classic) in a poll by a leading broadcasting company. Meanwhile Spargo toured extensively through Europe and continued to enjoy chart success with songs like So Funny (1982), Do You Like Me (1983) and Lady (1984). In its original line-up the band got back together in 1997 to record two new songs (Indestructible and Make a New Start) to be included in a compilation CD, which resulted in a string of Dutch TV appearances in programs such as Toppop, Vrienden van Amstel and Goud van Oud. Late 2015, joined by Jackson’s brother Larry Jackson on percussion and Driessen’s son Joao Driessen on saxophone and keyboards, Spargo played a spectacular mini-gig at the Let’s Dance event, hosted by Dutch TV personality Humberto Tan, in a sold-out Ziggo Dome. 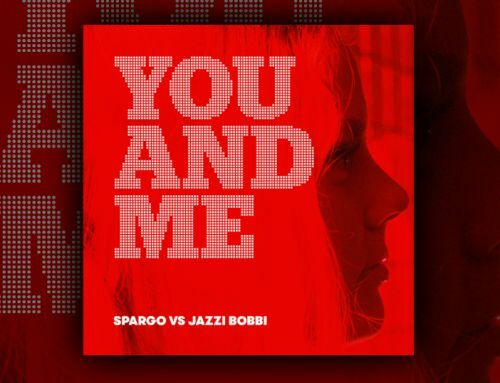 Spargo also successfully performed at the 40-UP Festivals in June 2017 and at the Red Light Jazz festival in Amsterdam. 2018 saw Driessen’s daughter Jazzi Bobbi remix the band’s first hit You and Me. The song provided the basis for a major Vodafone TV commercial and online campaign, airing late 2018, with its mini-documentary “You And Me” (showing part of the creative process of this remix) getting more than 4 million YouTube views to date. Following this, You and Me re-entered the yearly broadcasted national Top 2000 of all time. 2019 gets off to a great start with the release of ‘Just for You and Me, The Greatest Hits Collection’. An ode to the band with “that tall bloke and the little girl” and their infectious songs.